Lauterbrunnen is one of the most beautiful places I’ve been in my life. I mean those Lauterbrunnen waterfalls are out of this world. What makes it out-of-this-world is the perfect combination of majestic water wonders, the towering steep rock walls and the Alps’ magical charm. And I’m not the only one who’s been smitten by this Swiss piece of heaven. 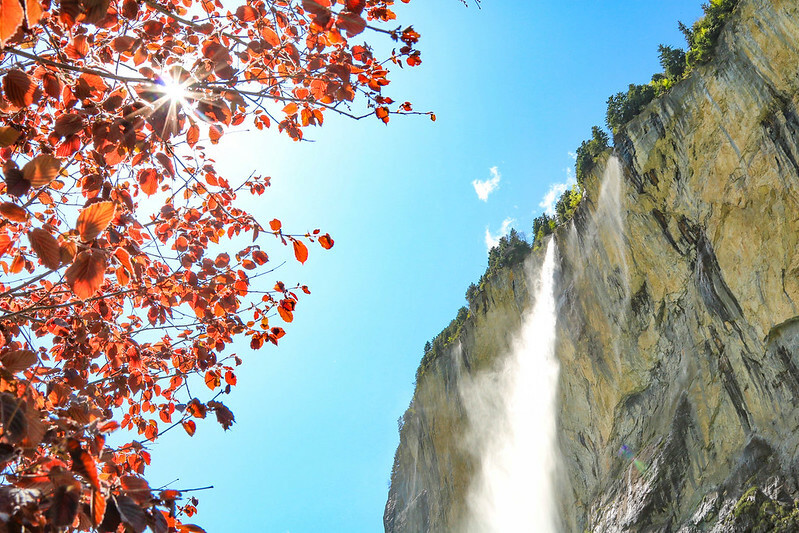 Lauterbrunnen’s thunderous waterfalls and dramatic cliffs have inspired many great writers and poets, such as J.R.R. Tolkien who got the inspiration for Rivendell during a hike from Interlaken to Lauterbrunnen. Those of you who are Sherlock Holmes fans know that it’s also the waterfalls where Holmes has his presumed mortal combat with his archenemy Professor Moriarty (at Reichenbach Falls). And, let’s not forget the 1969 James Bond movie which was filmed in Lauterbrunnen. Where’s the most magical place you’ve been? If you’ve been following me for a while, you have probably heard me rant about my endless love for waterfalls. So imagine my excitement when I first heard about Lauterbrunnen! 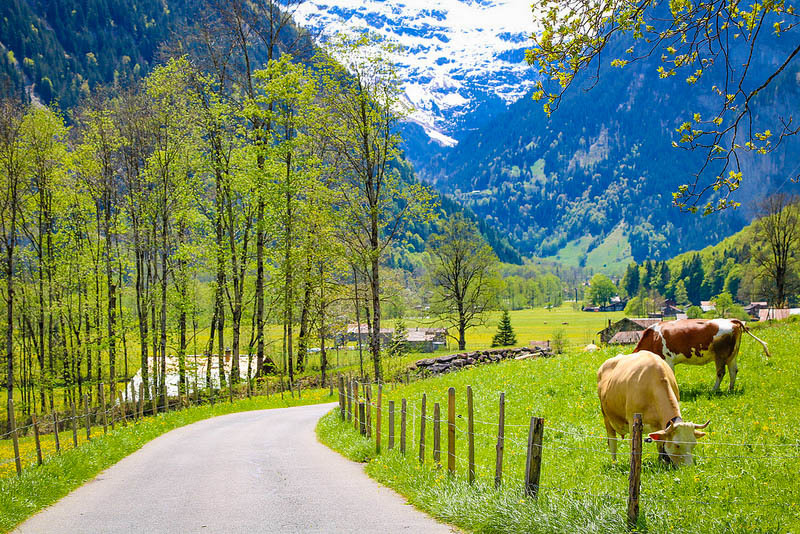 The valley of Lauterbrunnen is one kilometer in width and it’s tucked between dramatic vertical rock walls and snow-capped mountains that rise high above the meadows. 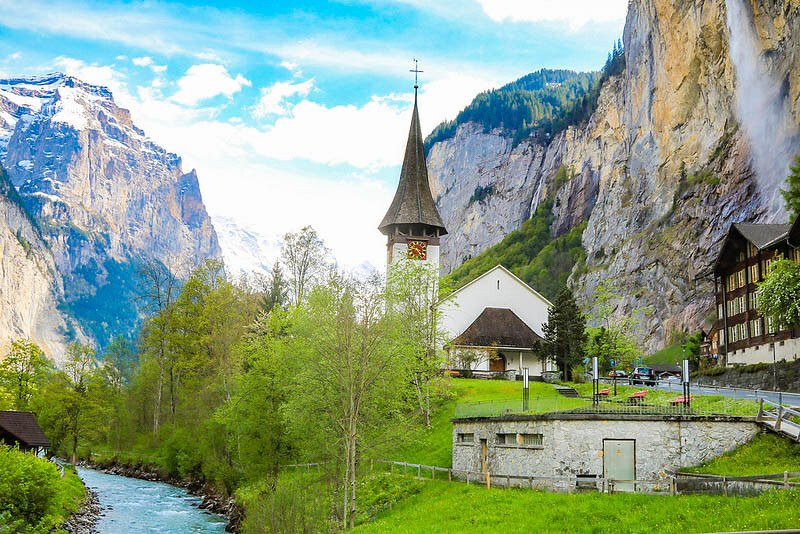 In German, Lauterbrunnen means: “Many Springs” or more accurately: “Loud Springs”, and the name is spot on. This little valley in the Swiss Alps has no less than 72 thundering waterfalls, some of which are several hundred meters high. Anywhere you go in Lauterbrunnen you always hear the hypnotizing sound of water rushing down the rocks. The air is moist, but fresh and crisp like after a heavy rainfall. It smells like flowers sky diving through the summer air. Lauterbrunnen became a UNESCO site in 2001. And rightfully so. 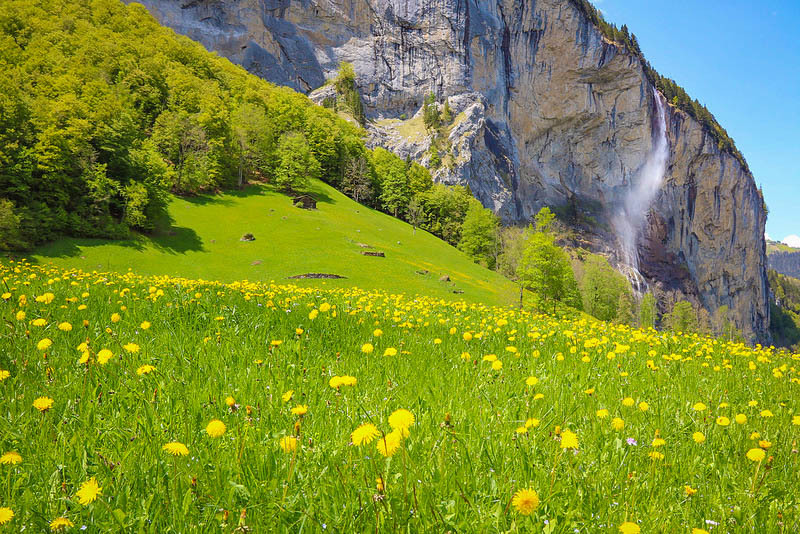 I went to Lauterbrunnen in early May, when all the dandelions were blooming. 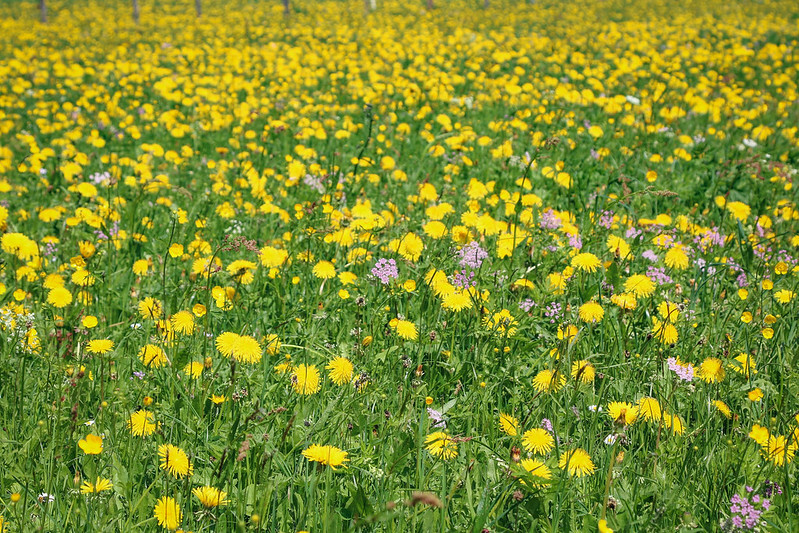 Every field as far as the eye could see was filled with flowers and it looked like an endless sea of yellow. 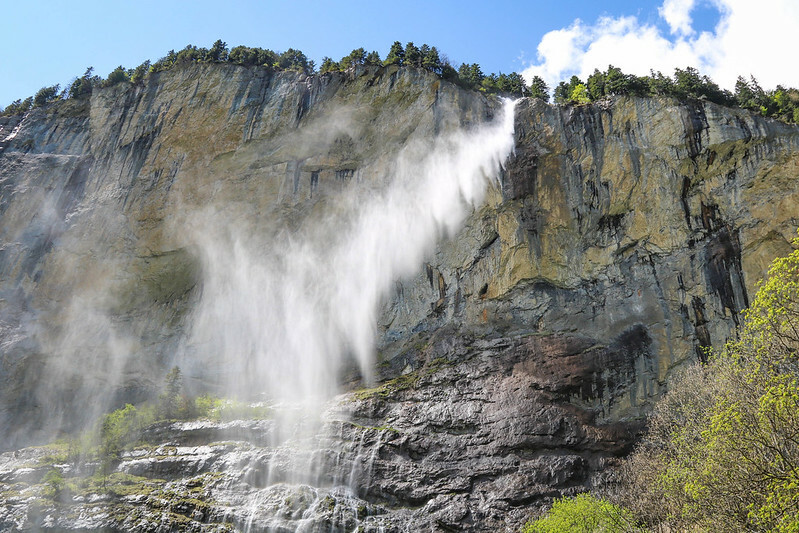 Lauterbrunnen is pretty spectacular on its own, but the star of the show is the Staubbach waterfall. At 297 meter, plunging from a vertical cliff wall, it’s just about the first thing you notice when you arrive in Lauterbrunnen. Staubbach is also one of the highest waterfalls in Europe and possibly one of the most beautiful if you ask me. The impressive thing about this waterfall is that the water is free-falling off the cliffs and sends clouds of mists into the air. On a windy day, the flowing mist is almost lost in the wind before it reaches the rocks below. The hike distance is 6,7 km and it takes 1 hour and 45 minutes. My favorite thing to do in Lauterbrunnen was hiking. I didn’t have time to explore the surrounding mountain villages, like Gimmelwald, Mürren or Wengen. But I did have time to hike from Lauterbrunnen to Stechelberg, which is super easy because the road is wide and flat. The Jungfrau area is ideal for hiking and walking a lot, so I suggest packing reliable sneakers or sturdy hiking boots. These are my all-time favorite travel sneakers, but if you’ve got other outdoor adventures in Switzerland, I would bring a pair of hiking boots and leave the sneakers at home. On my fairy tale trip around Europe, I did a lot of hiking in Switzerland, Austria and Slovakia, but the hike in Lauterbrunnen was my favorite. What did it for me was the landscape, the sound of the Swiss cow bells, the heart-meltingly gorgeous waterfalls and the enclosing cliff walls. Walking on the road to Stechelberg on a warm spring day reminded me that this little world we live in is mind-blowingly fantastic. Today, that realization smacked me square in the face and I couldn’t help myself. I spread my arms out wide, I cried with joy and woo-hoo’ed out loud. Just call me over-enthusiastic or nuts, but I was happy. I have been to many places in my life, but Lauterbrunnen valley is one of my favorites. It’s like a tiny piece of heaven, just a swooning train ride away from bigger cities like Bern and Lucerne. 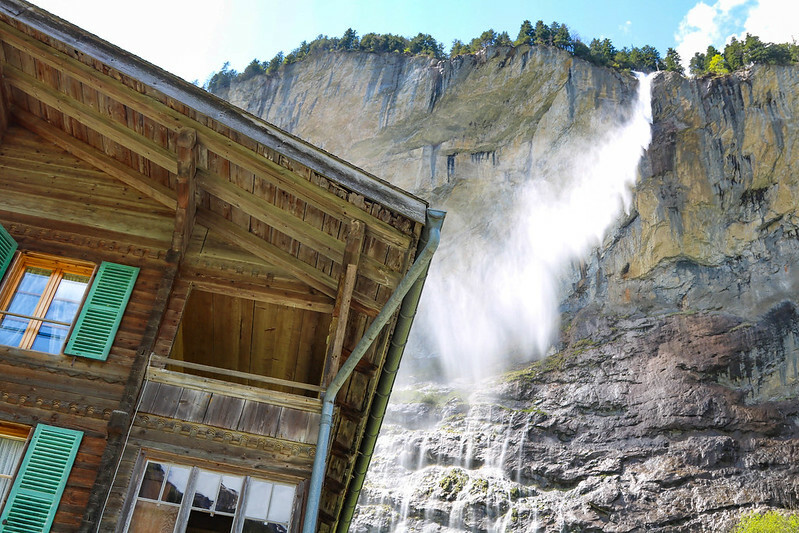 If you’re in Switzerland and only visit one place, choose Lauterbrunnen and go chase waterfalls. 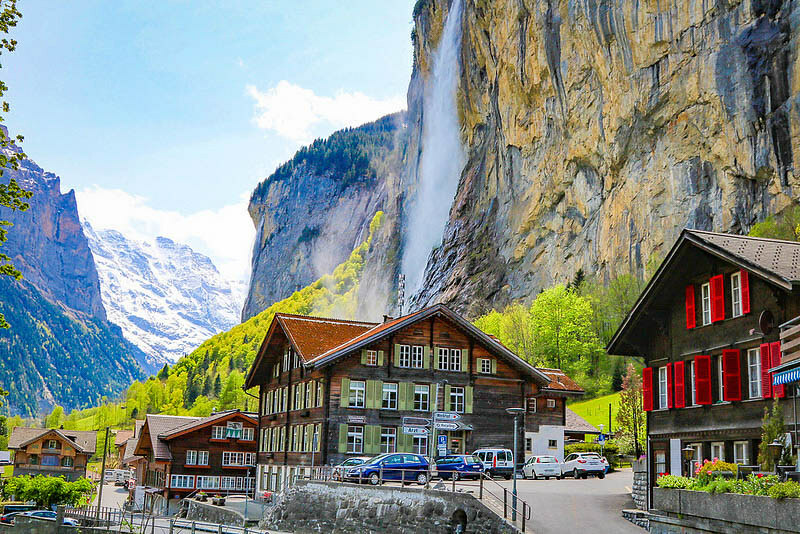 Here’s some of the top picks for places to stay in Lauterbrunnen. Valley Hostel – a cheaper option with free WiFi, a garden and shared kitchen. It has free parking and a swimming pool. Click here to see the latest prices. 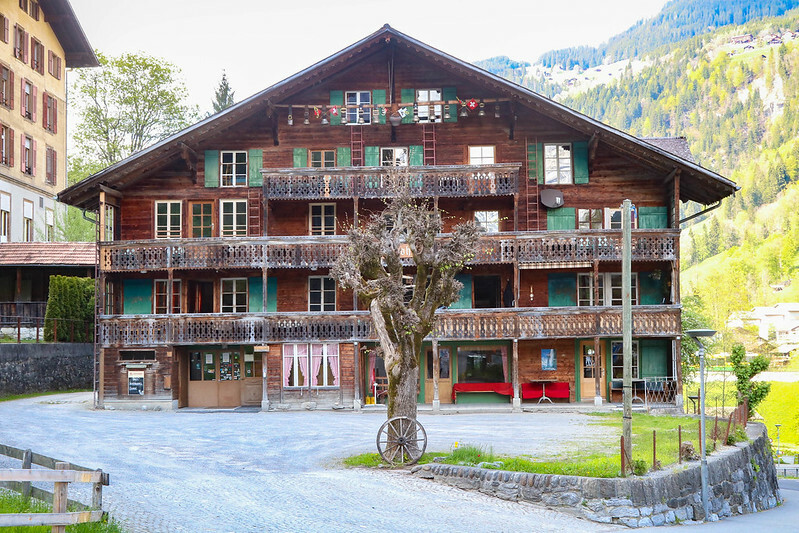 Hotel Oberland – Quaint rooms with balcony and a magnificent view of the waterfalls. It’s definitely worth splurging for the view here. Click here to see the latest prices. 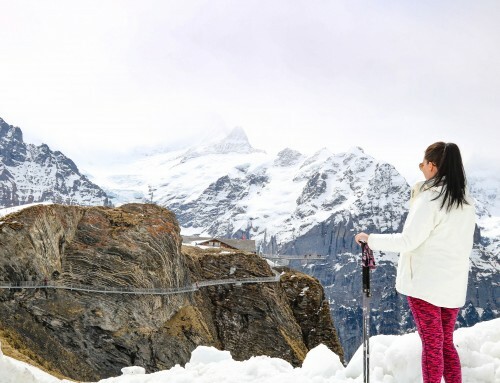 Jungfraujoch (Top of Europe): If you’re into breathtaking mountain views, you will love a trip to Jungfraujoch, which is the highest train station in Europe. The Jungfraujoch experience begins from the minute you step into the cogwheel train and begin the ascent of 3,400 meters. 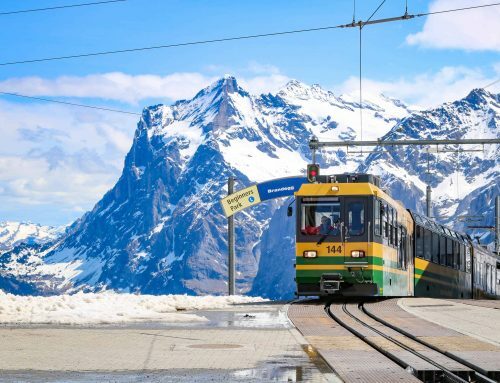 The views from the train are nothing short of breathtaking, and there are fun activities at the Top of Europe for both singles, families and kids. Interlaken Helicopter Skydiving: Just a short train ride away you’ll find Interlaken, which is Europe’s adventure hub. 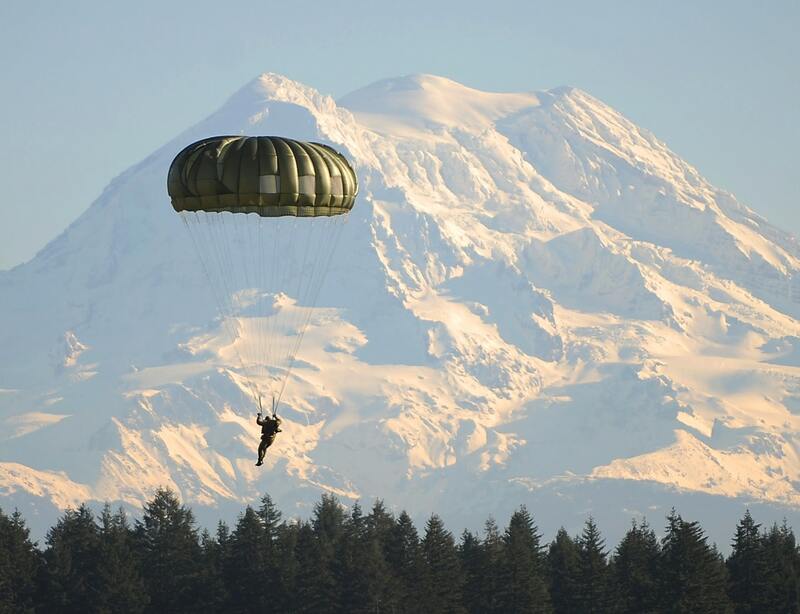 One of the most popular activities is skydiving. So, if you’re into adventure sports and always wanted to try sky diving, this is an amazing place to do it. They’re specialists, and you can’t ask for better views. Thanks so much, Flora 🙂 Lauterbrunnen is an amazing place and I could easily have spent weeks here. Absolutely gorgeous. Your photography skills are incredible – you could convince me to go anywhere! Wooow! Amazing photos! I will definitely plan to go there. Just a quick question… Is it possible to go there wiht my kid and a buggy? 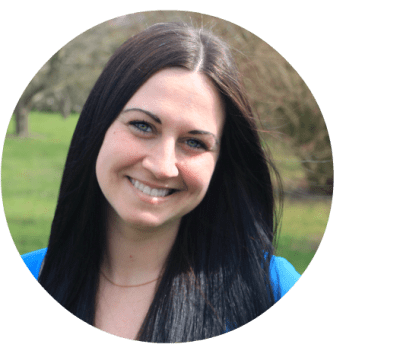 Thank you, Kolina! Yes, it is totally possible to visit Lauterbrunnen (and the rest of Switzerland) with kids and a buggy. It’s very family-friendly and it’s easy to get around. Beautiful photos! Looks like hiking there is as close to perfection as one can get. So true, Stephen! I’ve hiked in many beautiful places, but Lauterbrunnen takes first place! We would love to show the Valley from a different perspectiv…hopefully next time! Markus….could you throw me your details via email(mazedbuet@gmail.com) about the tandem paragliding? I’m not sure if Markus sees your comment, but as far as I know there is one paragliding company in Lauterbrunnen and it’s called Airtime Paragliding. I assume he works for them, but please correct me if I’m wrong, Markus. i love Lauterbrunnen, had lunch and dinner at the Hotel Oberland every day. look forward to going back next year. Sounds lovely! I could definitely see myself going back every year – it’s just one of those places! LOVE! I have loved photographs of Lauterbrunnen for many years. Waterfalls, no cars, mountains. I’m not sure it gets any better than this! One day I plan to get there…but then I may never want to leave. Such stunning scenery! There are some gorgeous areas of Colorado like this, but I still want to see the Alps someday, too! Wow, really? I’m putting Colorado on my wish list immediately! I can’t get enough of this beautiful mountain scenery, it’s so captivating. Lovely photos. 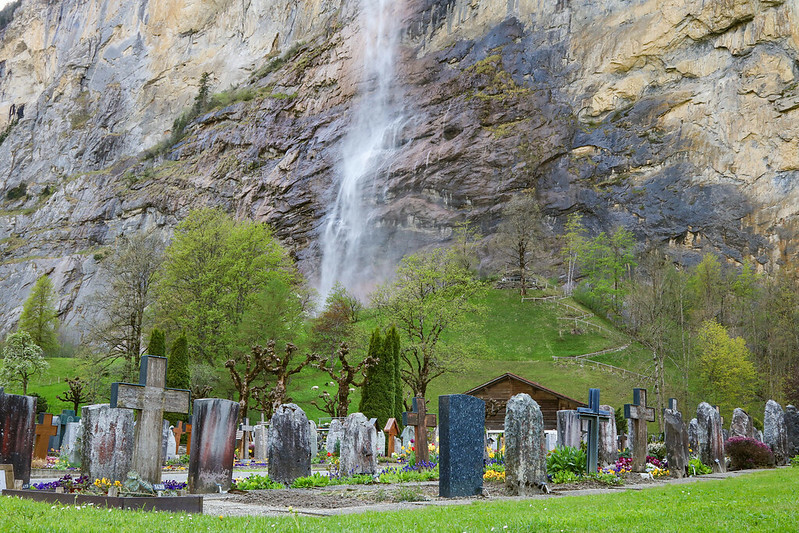 You mentioned that “Lauterbrunnen is one of the most beautiful places I’ve been in my life.”. ^:^ So where are the other most beautiful places? The other most beautiful places I’ve been to are Hallstatt in Austria, Uyuni in Bolivia, Lake Bled in Slovenia and Phi Phi island in Thailand (10 years ago before all the tourists). They are out of this world. The waterfall coming off that vertical cliff wall is so impressive! Your photos are lovely – thanks for taking me there (virtually). My pleasure, Ava! And thanks for reading. Done! Going there tomorrow! I have a free day tomorrow and Wednesday and I have one more day on my Swiss pass to use and was bouncing the idea of Grindelwald but this post convinced big time to go to Lauterbrunnen. Good thing I have my waterproof boots to wear. Thanks!!! 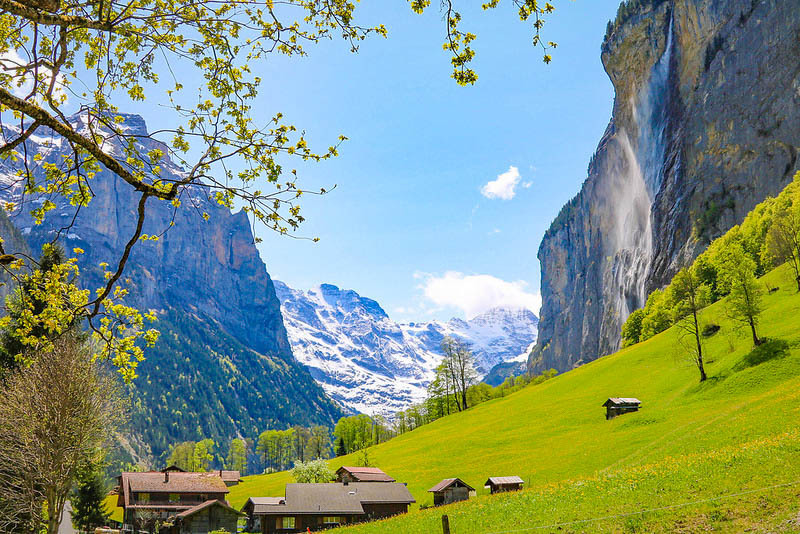 Ooh, I’m so jealous 😀 Lauterbrunnen is so magical, and who knows – you might be lucky with the weather 😉 Enjoy your trip! Can you please tell me which time you was there ? Signing on to receive your posts was a no-brainer, Miriam. I will look forward to them. Beautiful photos. Thank you Suzanne. You’re a sweetheart! Hi Mirlam. Thanks for the sharing and amazing post. Is it possible to make a day trip from Lucerne and stay overnight at Lucerne? I haven’t done it myself, but I would think it is! Swiss trains are easy, although expensive, but it’s worth the trip if you make sure to leave early in the morning. 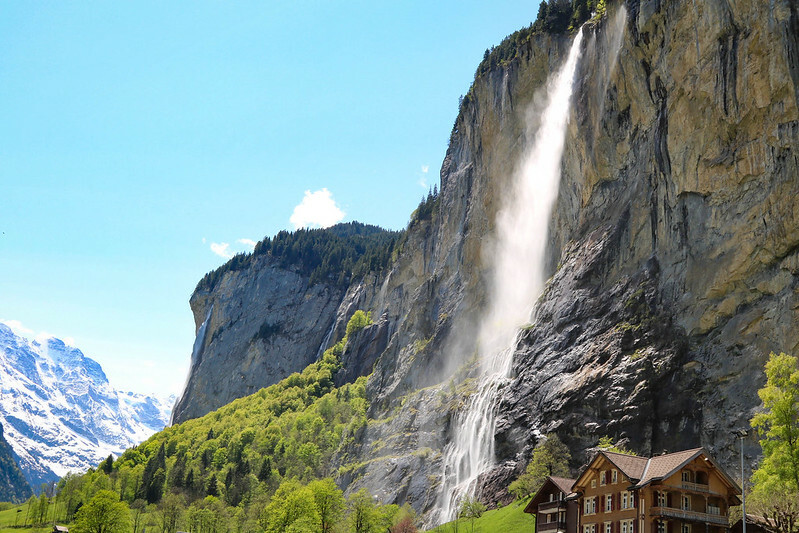 There’s much to see and do in Lauterbrunnen area (the waterfalls, hiking, base jumping, paragliding, Murren, Wengen,etc.) so you could easily spend days here, but if you only have one day it’s still worth going! Hi there! If you only had one day to spend in Switzerland, would you suggest a stay in Grindelwald or Lauterbrunnen? Am looking more in terms of the beautiful swiss scenery. Lauterbrunnen for sure! 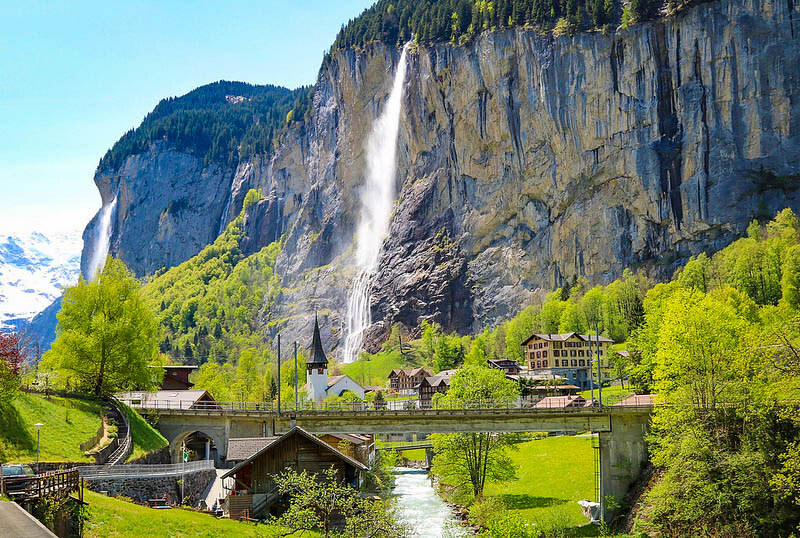 I personally liked Lauterbrunnen better because of the many waterfalls, the mountain background, nature and atmosphere. Grindelwald is pretty too, but not anywhere near as magical. If you hike or take the cable car up to one of the higher villages you will get more of that beautiful Swiss scenery! 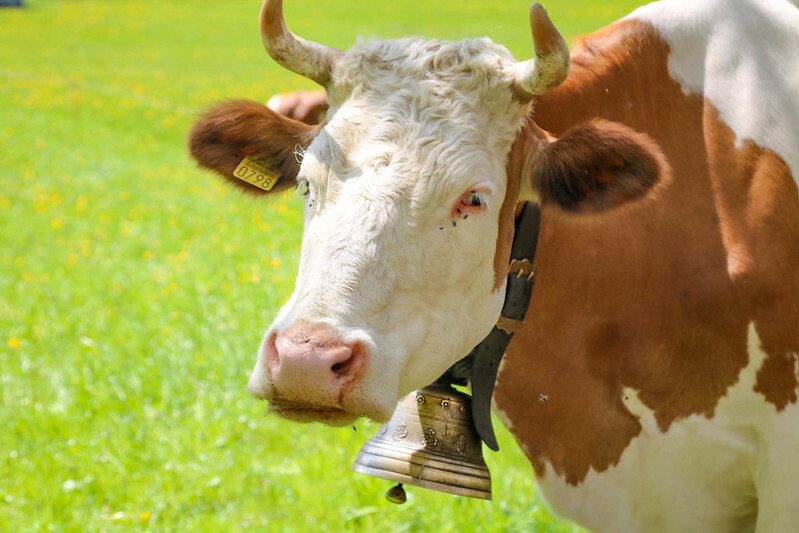 They’re very easy to reach from Lauterbrunnen. I spent the night in Interlaken and took the train to Lauterbrunnen, Grindelwald and Jungfraujoch. But if I could do it again, I would have stayed in Lauterbrunnen for a few days. It’s so peaceful there whereas Interlaken is more busy. Have a GREAT trip. I’m sure you’ll love it – I went in May, too. What places are available to stay in Lauterbrunnen? I hope to go there for my “I just retired” trip. I retired 2 weeks ago. Would I fly into Zurich? I stayed in Interlaken so I don’t know any good hotels or hostels in Lauterbrunnen. You can get there by flying in to Zürich (1,30 minutes by public transportation) or Geneva (2,18 minutes by public transportation). Taking the train in Switzerland is super easy and signs are written in English. Congratulations on the retirement. Lauterbrunnen is a beautiful place to celebrate it! 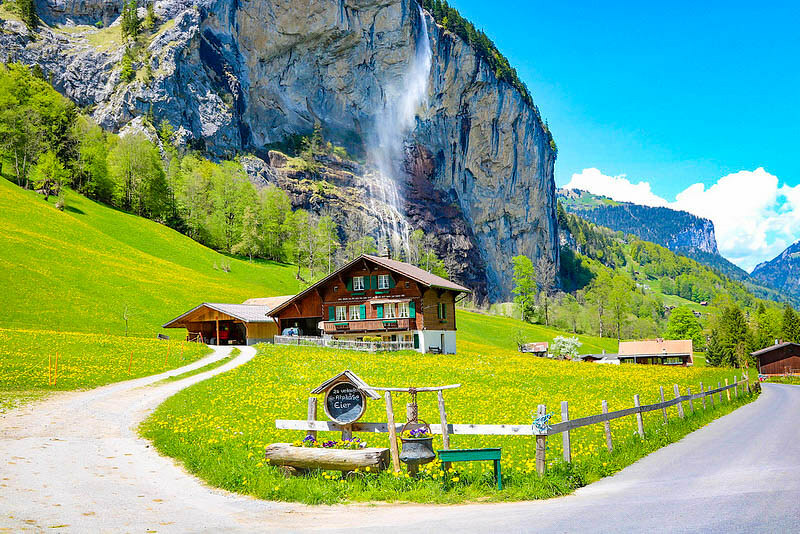 Lauterbrunnen is certainly a reason to return to Europe, and you will also find lots of beautiful places in Scandinavia (my neck of the woods). Let me know if you need inspiration or tips once you retire. Hi Miriam…I stumbled upon your page and i feel fortunate.Lovely photos. So i am travellign to Lauterbrunnen mid April from Milan for 2days. Do you think the Jungrafouch top trip is worth doing on one of the days ? I was hoping for some small hikes in the Lauterbrunnen valley if the weather is on my side. Jungfraujoch is definitely worth the trip, but only if the weather is good. You can check the weather forecast before going, but if it’s not clear I suggest you spend your day in Lauterbrunnen. 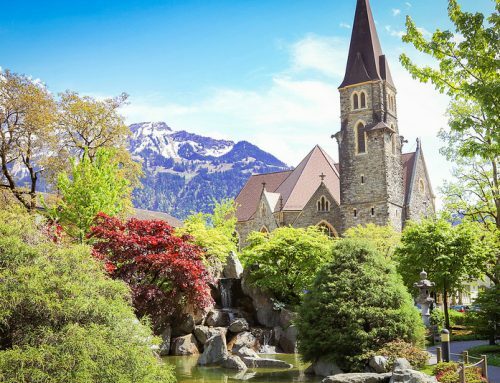 There’s plenty to do in the area, for example visiting Grindelwald, Wengen or doing fun activities in Interlaken. 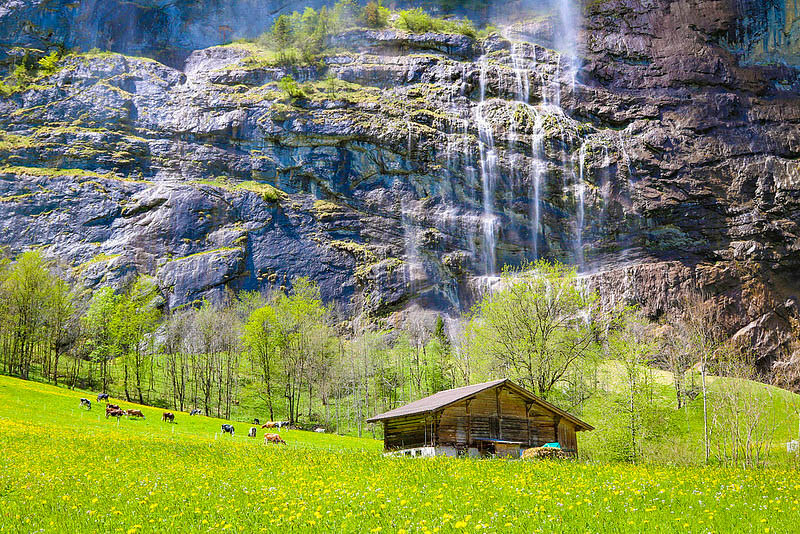 It’s also easy to just spend 2 days in Lauterbrunnen, hiking and seeing all the waterfalls. I would probably just stay in Lauterbrunnen and not rush it. In the area I highly recommend visiting Grindelwald, Spiez and Oberhofen castles (in Lake Thun) and some of the small mountain villages like Wengen. It’s such a beautiful area with lots to see. 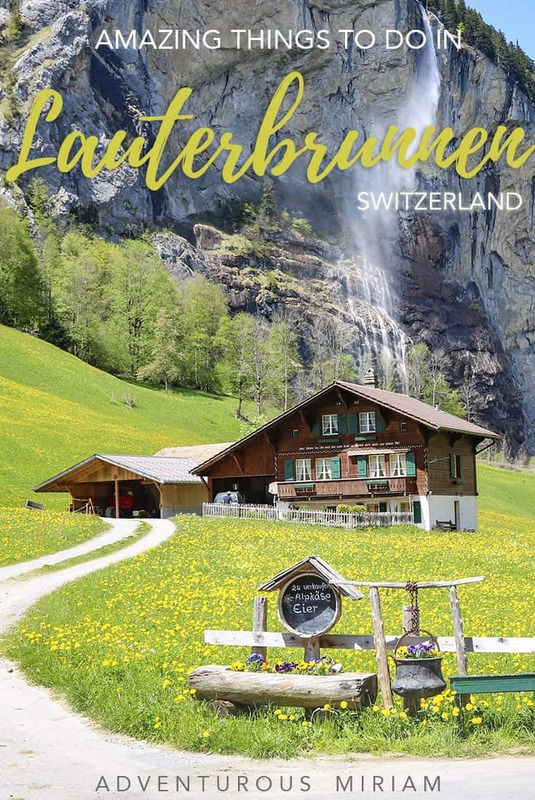 We are traveling to Switzerland this coming June and stumbled upon your blog while researching for must-visit places in Berner Oberland and your blog just made Lauterbrunnen on my top list. Greatly captured photos!!! 🙂 I am wondering which camera do you use? Including what kind of lens if you’re using an dSLR. So glad to hear that, Camille! I use a Canon 750D and a Canon EF 24-105mm f/4 L IS USM Lens for these photos. A few months later I bought a wide angle lens: Canon EF-S 10-22mm f3.5-4.5 USM and I wish I’d had it with me in Lauterbrunnen. If you have a wide angle, do bring it! The photos are amazing, thankyou for posting them. We are staying in Tasch but were considering Interlaken or Grindelward for a day trip but you’ve convinced me otherwise. That’s so good to hear! 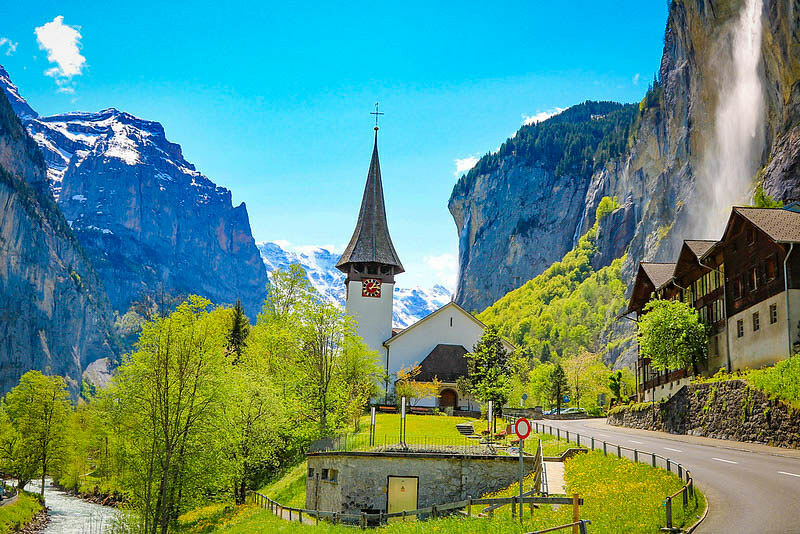 You will definitely not regret going to Lauterbrunnen – it’s one of the prettiest places in Europe. It’s on the way to Stechelberg. There is no address. 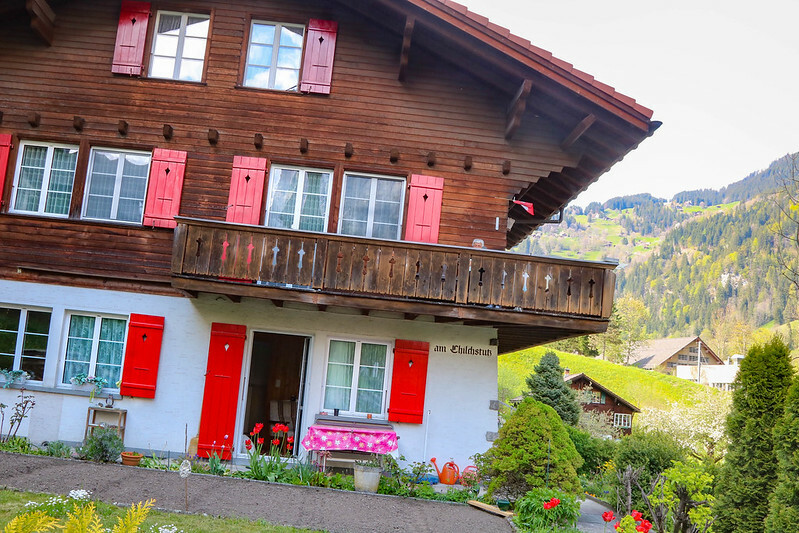 We stayed in Murren for 3 nights in June. The views of the mountains from there are breathtaking and the air is crisp and so much cooler! We hiked down to Gimmelwald and then took a cable car to the valley floor where we visited a waterfall inside a mountain before taking the bus on in to Lauterbrunnen. 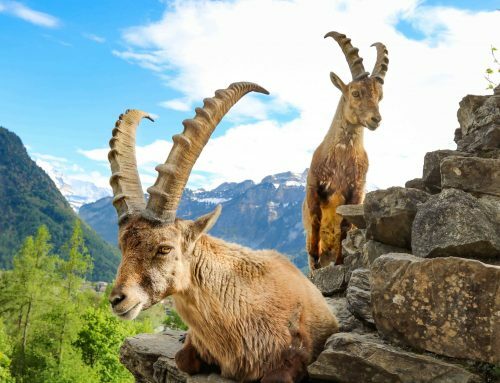 You have to visit Murren on your next trip! So lovely! Oh, that sounds absolutely amazing! I’m adding Murren to my next Switzerland trip, that’s for sure. Thanks so much for your advice, Karen, and I’m glad you had such a great trip. This is absolutely stunning. So picturesque, pastoral and peaceful. Being there in this setting would seem to be cleansing for the soul. The hiking I am sure would be spectacular! Thank you for sharing! It sure was, and it was the highlight of my trip to Switzerland. 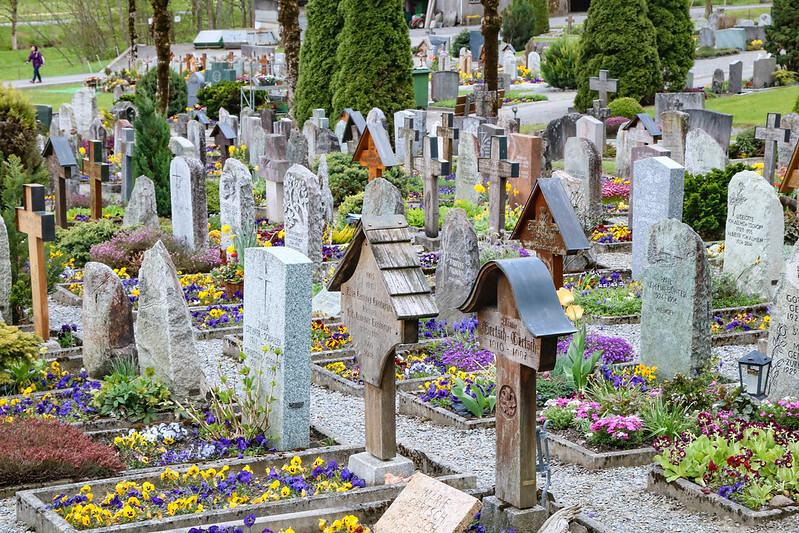 If you’re in the Alps at some point, you should pay a visit – it’s worth it! Hi Miriam, gorgeous photos! Would u mind sharing in what month were those photos in Lauterbrunnen and Grindelwald (the other entry) taken? Many thanks in advance! Thanks, Tan! I was there in May. It’s such a beautiful season with all the blooming flowers. I was here on Apr 27 followed your guide and tips. I was amazing. Thank you for your great photos, they inspired me a lot. Wow! you gave justice with your photos of this little beautiful town I loved so much! I was there June 7-8, and every angle of this place is magical! I was able to take a nap in one of the benches overlooking the waterfalls, and you were right – the sound of the Falls was hypnotizing! With the breeze and the view… it was a memorable 2-day-adventure! Am jealous with all the handy cams you have! Enjoy your travels and good luck! First of all , great pics !! I mean totally amazing !! I am visiting Switzerland this month end and Lauterbrunnen is in my list for a weekend along with interlaken. I would like to visit all the places where you have clicked these beautiful pics. Will i be able to see all of this if i take a hike to STECHELBERG. Also how big is the town? I just have one day for Lauterbrunnen, can you suggest me how should i spend it , so i don’t miss any of these picturesque places. Yes, absolutely. Lauterbrunnen is very small so one day is enough to explore the town itself. If you simply follow the main road from Lauterbrunnen to Stechelberg you can’t miss anything. You’ll see what I mean once you get there 🙂 Have a great trip. I am planning to go to Switzerland Zurich. 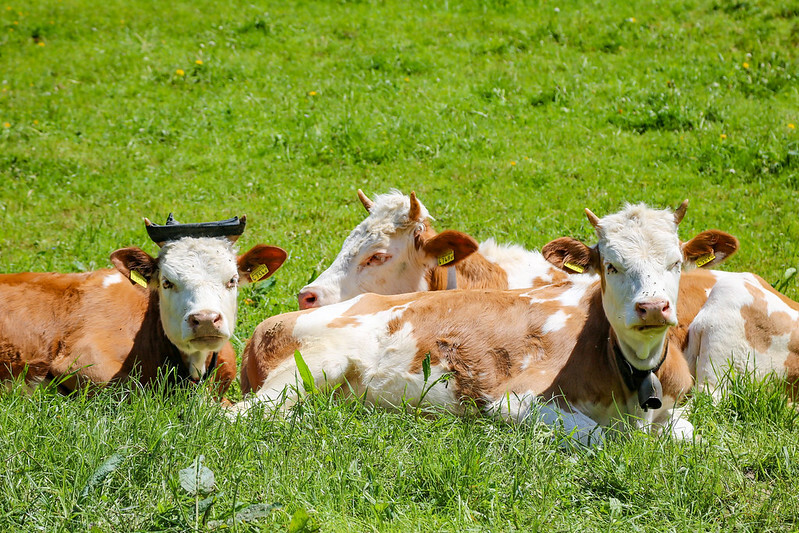 So how long is the journey to Lauterbrunnen? Do we need to rent a car? Or just take a train? from train station we have to take bus OR hike OR rent a car to view? Also If you could please tell we were planning to go Jungfraujoch at the top but I have read its very expensive but surely will be worth. since we will be in Zurich for 3-4 days. Can you guide to maximize the trip rather then spending whole money on Jungfraujoch trip. I am a bit confused. I love the scenery Lauterbrunnen. The easiest would be to just take the train. You might have to go to Interlaken and then on to Lauterbrunnen. You can walk from the train station in Lauterbrunnen. The town is quite small. Jungfraujoch is very unique and you can find anywhere else like it. But if you’d rather save the money, I recommend you visit Grindelwald (and Grindelwald First). There are some amazing views to be seen there.